As the inventors of optical fiber in 1970, innovation is at the core of Corning’s successful history of technology and the foundation of providing compatible solutions that meet our customer’s ever-changing needs. Such solutions include FiberStore solutions that provide the successful and efficient foundation of your data center, local area, intelligent traffic system and industrial networks. After half a year after Corning fist debuted the “Thunderfolt Optical Cable” at CES 2013 in January alongside a USB standard solution dubbed “USB 3. Optical Cables”, Corning announced that its Thunderbolt Optical Cables are the first completely optical fiber products to receive Intel’s certification. 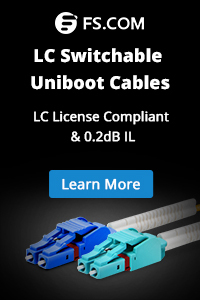 Corning’s all-optical Thunderbolt cable use the company’s ClearCuve VSDN optical fiber technology to deliver high data speeds over longer distances than traditional copper cables. The optical fiber version are also 50 percent smaller and 80 percent lighter than their copper counterparts. Corning plans to make the cable available at various lengths starting at 10 meters, through final products specifications have yet to be revealed. Corning has put over 3,000,000,000 US Dollars investment in China; it has 8 manufacturing factories in China with around 3000 workers. Corning Inc China headquarter is located in Shanghai. For fiber optic cable business, it has one optical fiber company and one fiber optic cable company in Shanghai, which is fully run and invested by Corning. Meanwhile it has two holding companies for fiber optic cable business in China, one is in Chengdu and other is in Beijing. Not only on fiber optic cable business, Corning also provides LCD products and ceramic products used on cars in China. FiberStore is proud to offer an extensive line of Corning products! 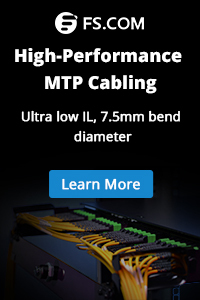 Whether your application is indoors, outdoors, aerial, riser or plenum, you’re sure to find the perfect fiber optic cable for your installation among Coring’s Optical Fiber Communication product lines. This entry was posted in Fiber Cabling and tagged fiber optic cable manufacturers, Optical Fiber Communication. Bookmark the permalink.